Question: How do you attribute a sale to a given piece of marketing as the number of marketing channels out there seems to grow exponentially? 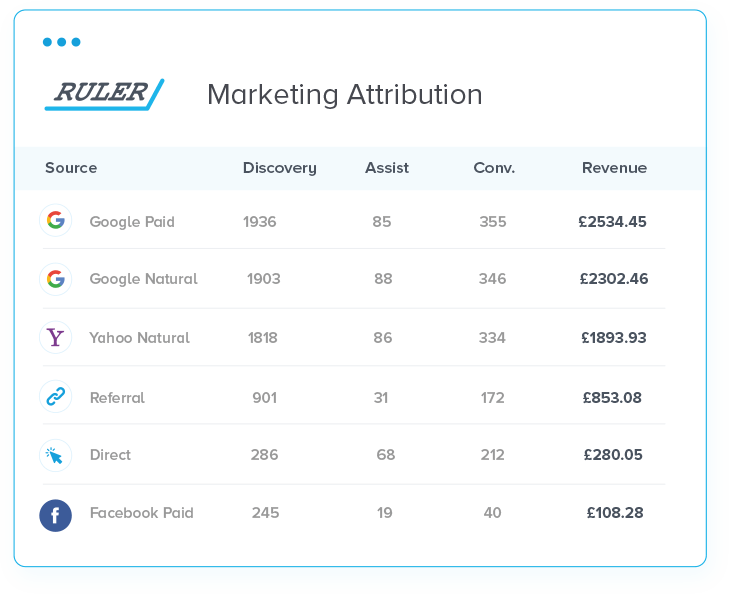 Answer: Use our Marketing Attribution services to close the loop between leads and revenue and calculate your true ROAS /ROI with Multi-Channel attribution. 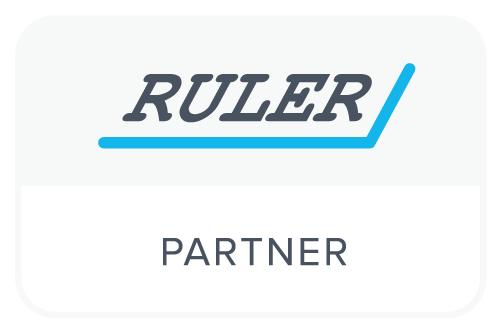 Ruler's unified multi-channel marketing attribution platform makes tracking and analysis of your campaign and channels simple, increasing insight and improving ROAS. Track each visitor's multiple touch points and page journey to measure and attribute value accurately across the entire conversion path. Accurately measure impact on your pipeline and revenue. Compare our different rules based models including: first click, last click and linear attribution. 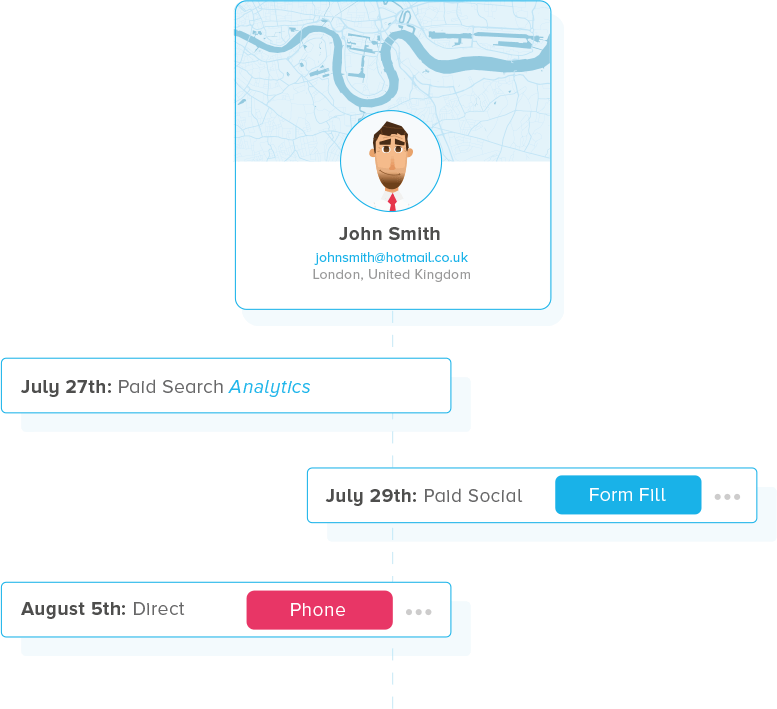 Analyse trends over date periods for all of your marketing channels. Get an overview of the entire customer experience. 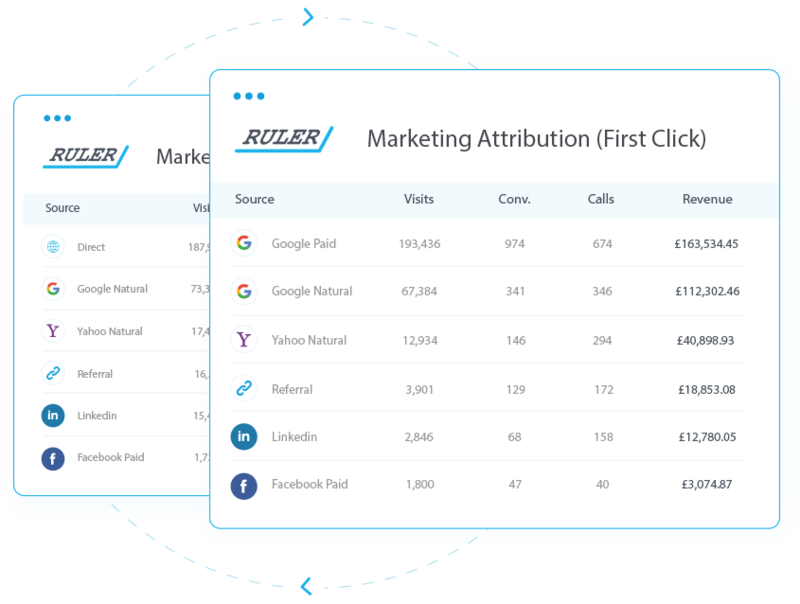 Highlight which marketing channels people are using to discover your business over time, understand the content they use to research and trigger buying decisions, monitor and record information submitted via form fills, sales and phone calls. While marketing attribution may be simple in definition, it's not so simple in practice. In fact, many marketers have only a tenuous understanding of attribution, and an even weaker grasp on how to assign it. Contact us today via the form below.